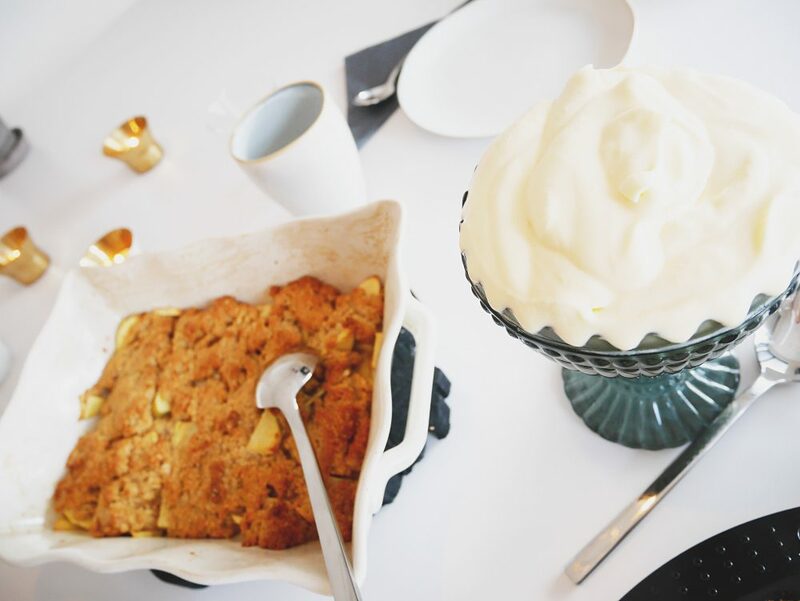 One of my favorite things to have for afternoon coffee is apple pie, the Swedish way I would say. 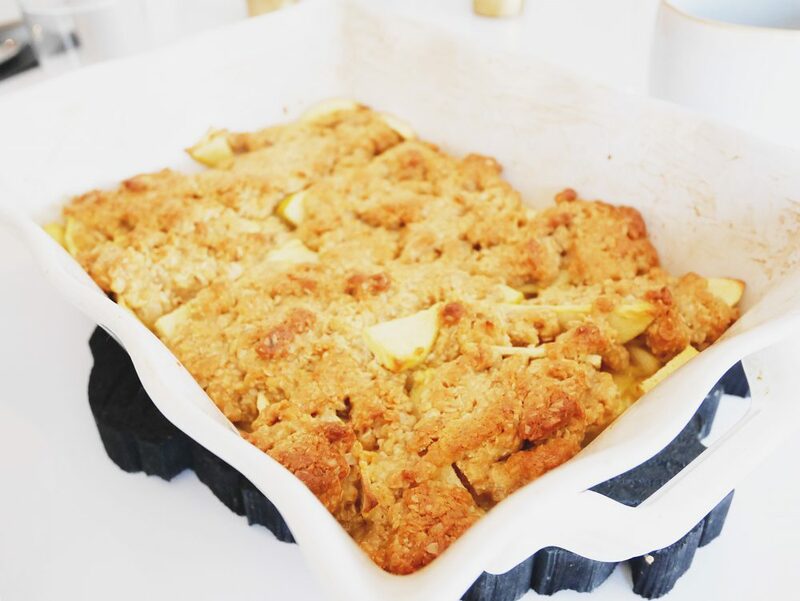 That crusty layer over the apples is so delicious. I have so many different ways to do this layer but this time I tried to do it with a caramel taste. 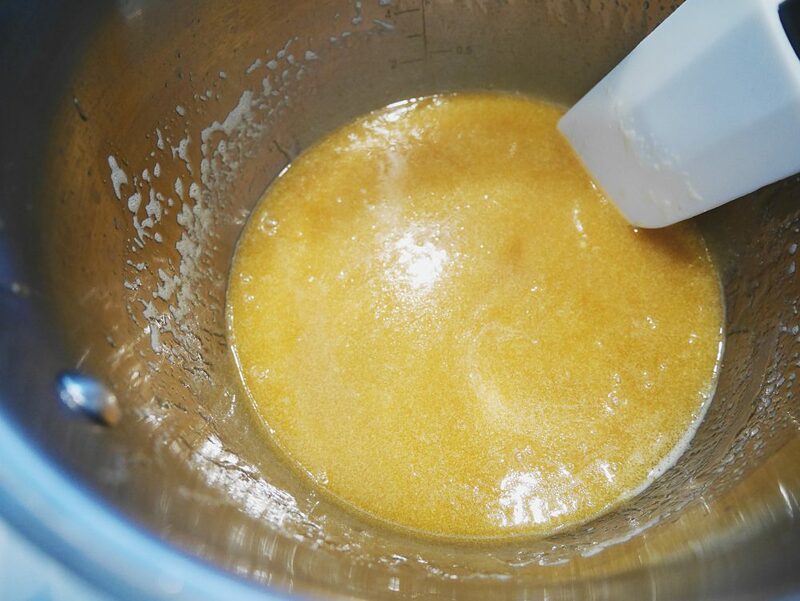 So I brown the butter a little longer till it gets that nutty smell and I also added some syrup and salt. Turned out so good. And the vanilla wisp, is the best! You need to try it. Brown the butter in a saucepan. 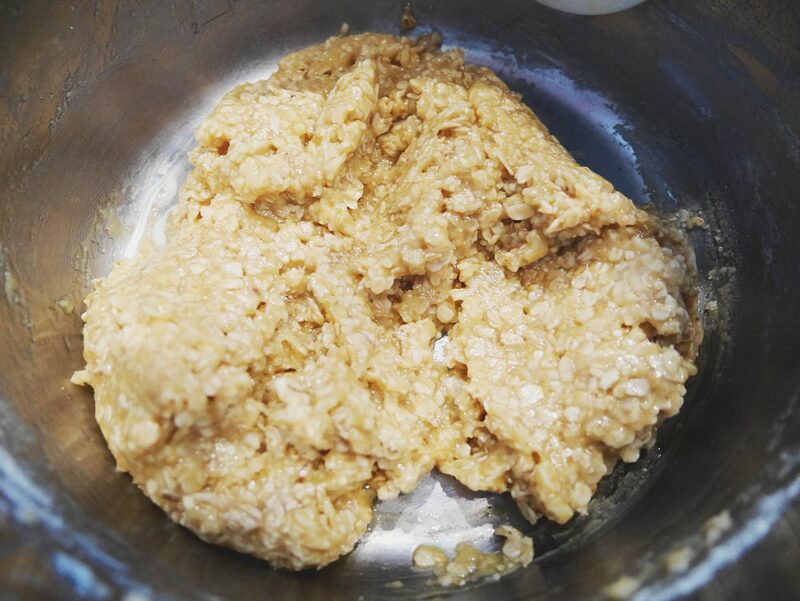 (Let it melt and when it starts to smell nutty and becomes a little brown, then it’s done. Be careful so you don’t burn the butter). 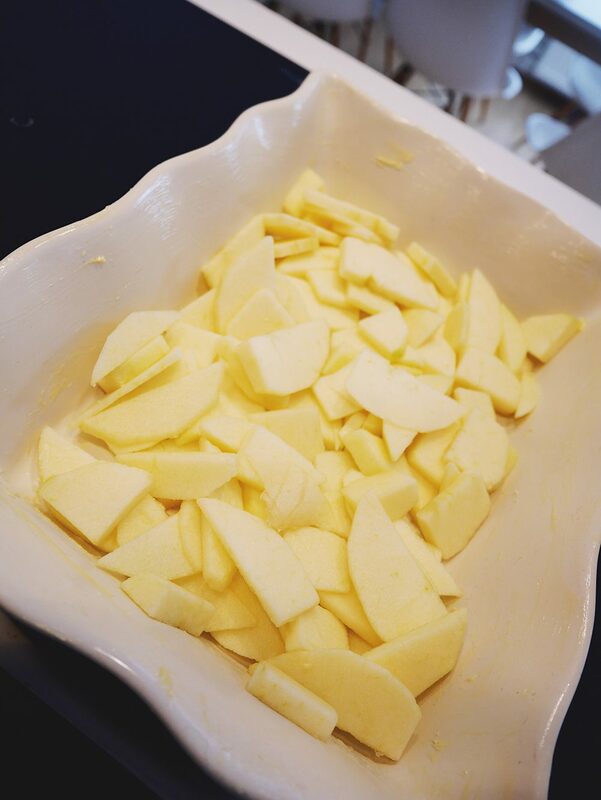 Peel the apples, cut them into slices and place in the dish. 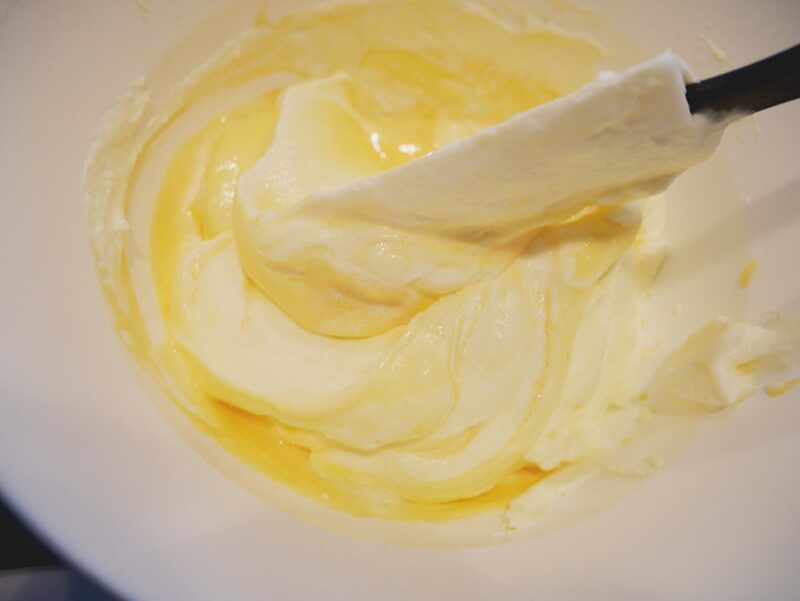 Mix the syrup and cream with the butter. 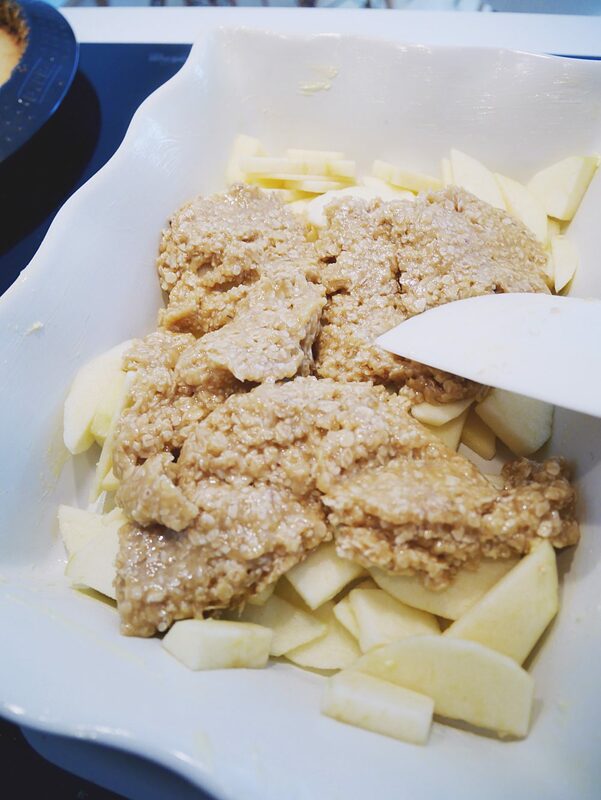 Then add the oatmeal, flour, baking powder and salt flakes. 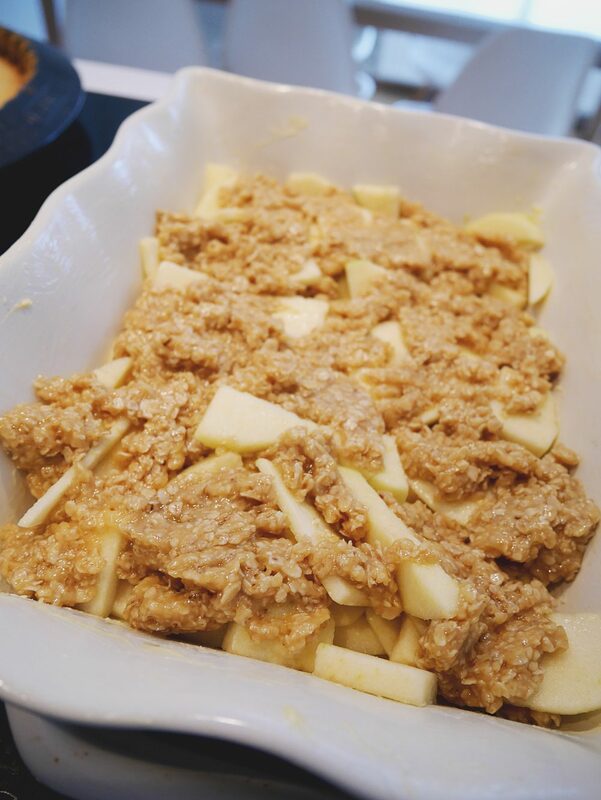 Add the batter on top of the apple slices. Place in the oven for about 15-20 minutes. The pie should be golden. 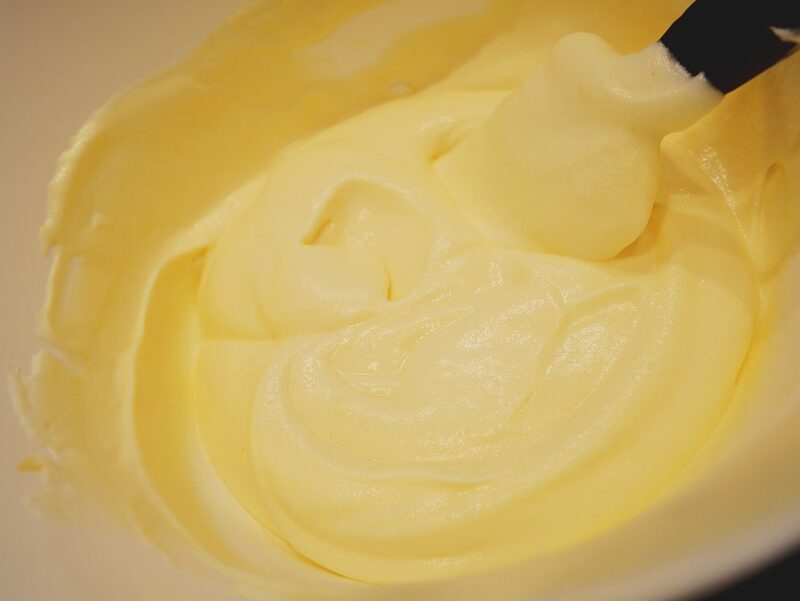 Beat the egg yolks, vanilla powder and sugar until fluffy with an electric mixer. 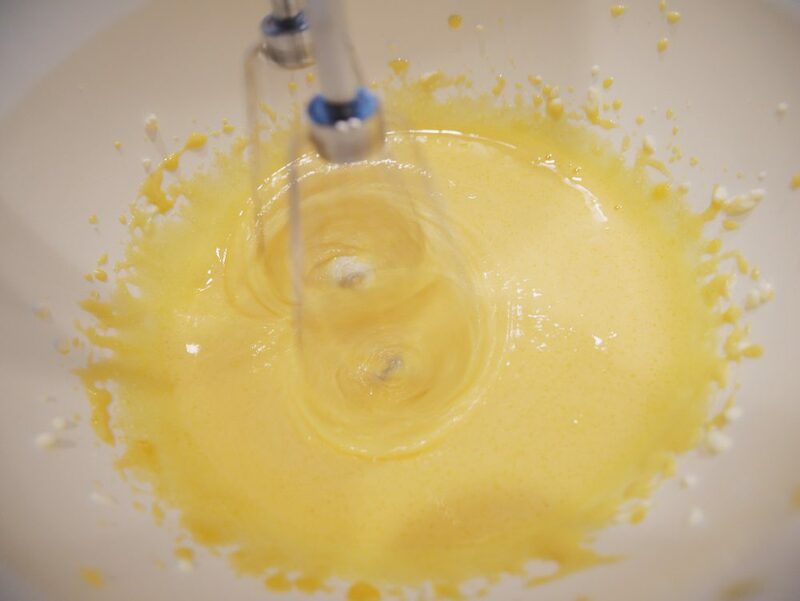 Pour the cream in another bowl and whisk it until firm.